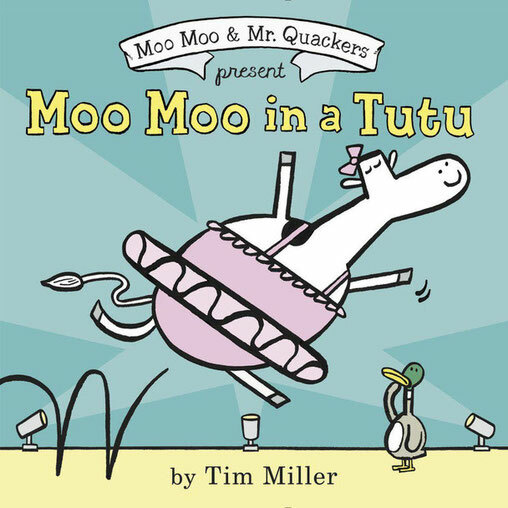 In the classic tradition of George and Martha, Elephant and Piggie, and Frog and Toad comes Moo Moo and Mr. Quackers in their debut, Moo Moo in a Tutu (Balzer + Bray). A cow who wants to be a ballerina? Are you for real? This is a hilarious, one-of-a-kind friendship story between an adventurous cow and a very loyal duck that will have you quacking up all the way through and applauding for more. School Library Journal Popular Pick Spring 2017! B&N Top Pick Spring 2017!